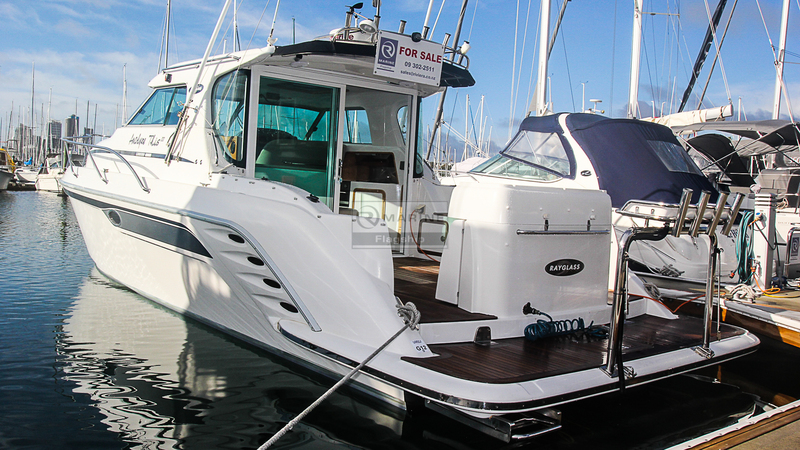 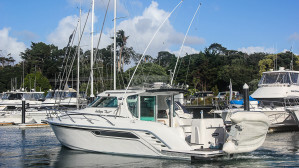 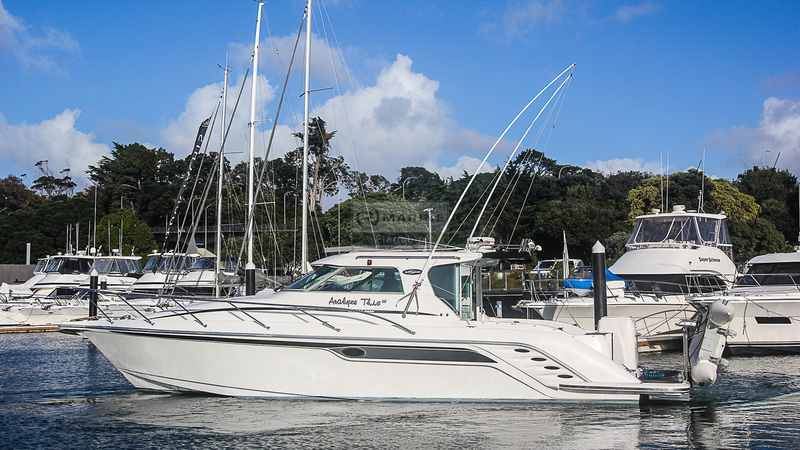 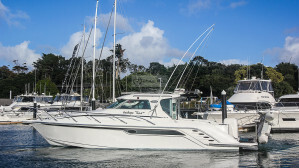 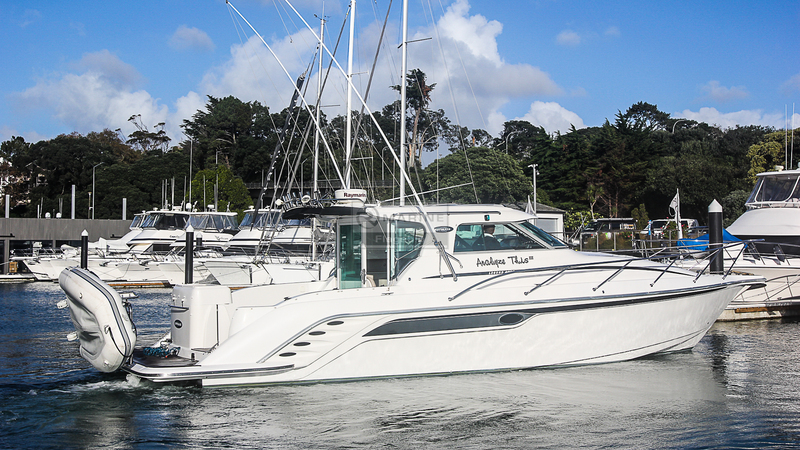 The Rayglass Legend 4000 is a well sought after vessel, ideal for weekend getaways with the family or extended coastal fishing trips. The oversized duckboard is perfect for diving, swimming or entertaining. 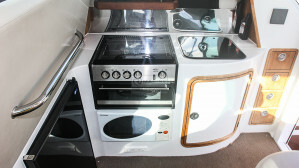 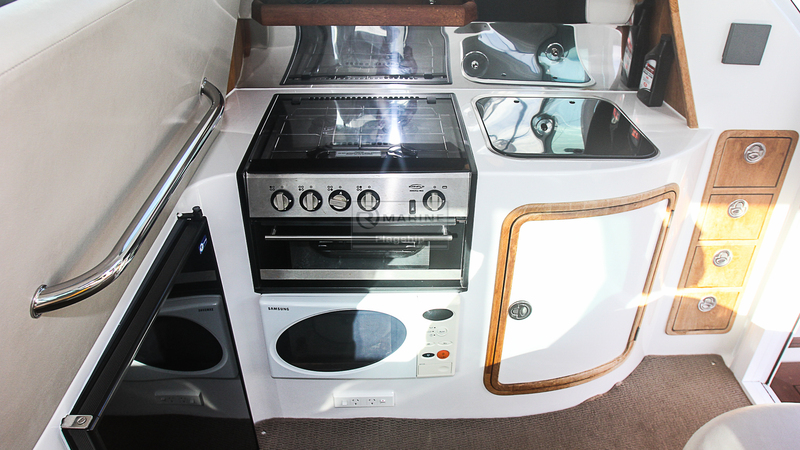 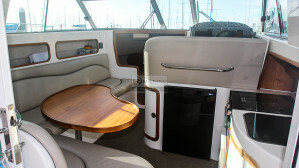 The centre island BBQ station links to the cockpit which seamlessly flows through to the saloon. 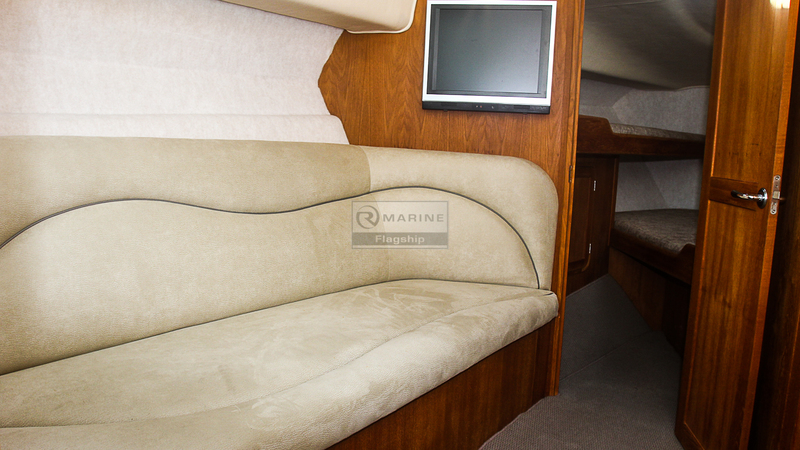 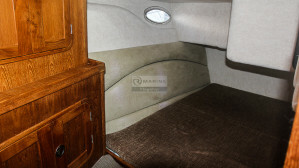 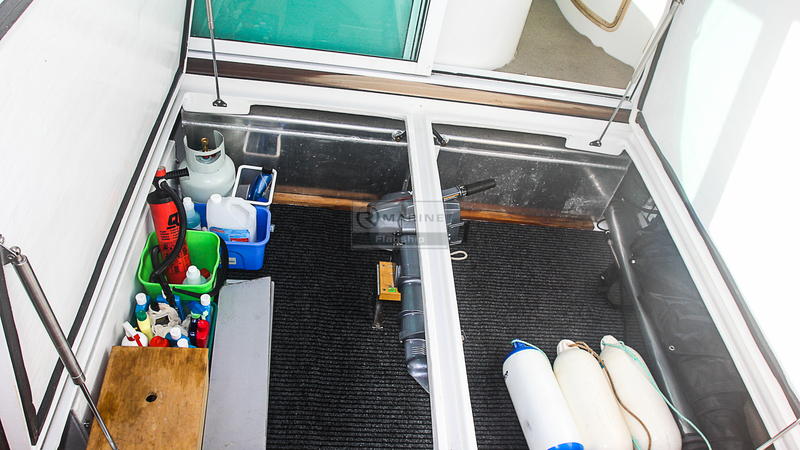 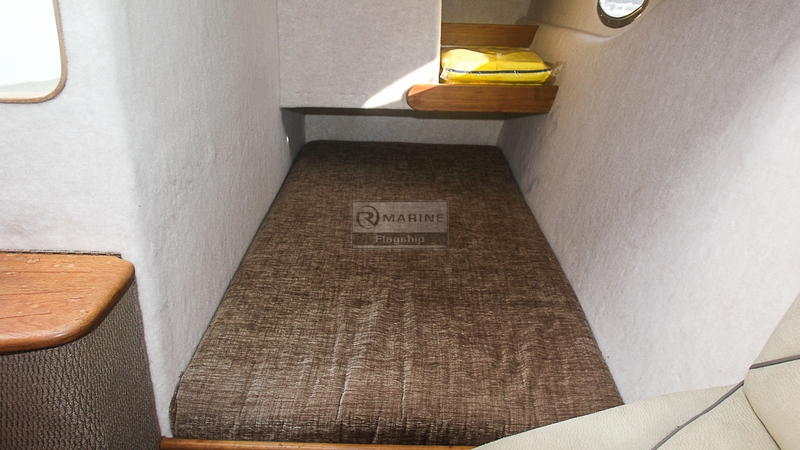 The cockpit boasts ample storage for all your fishing rods and marine apparel. 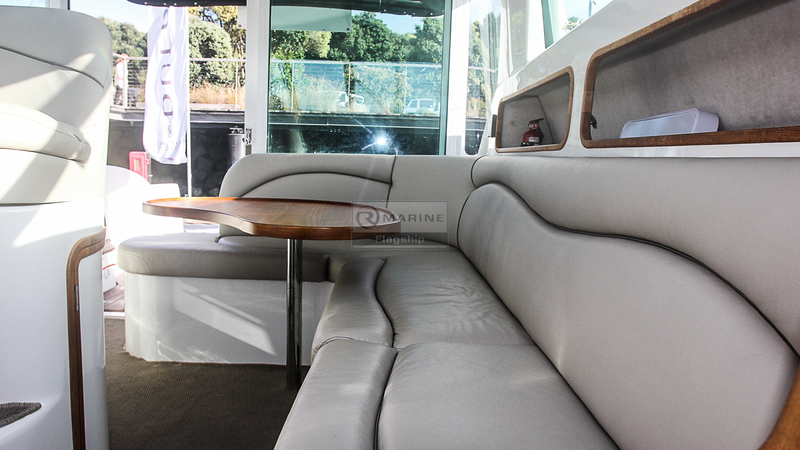 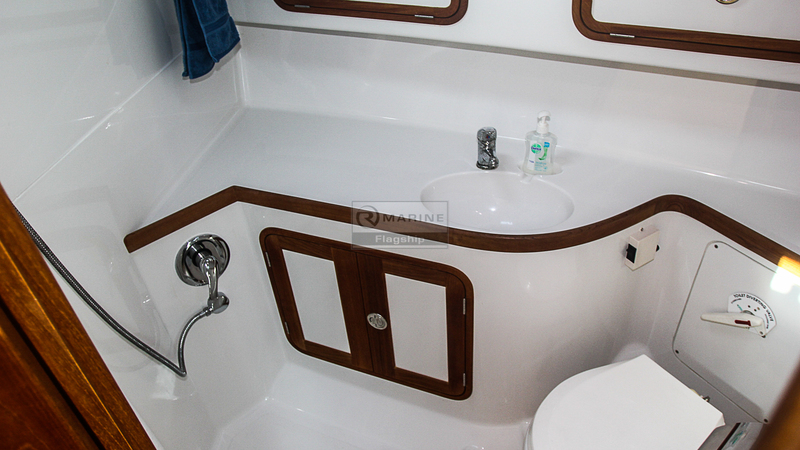 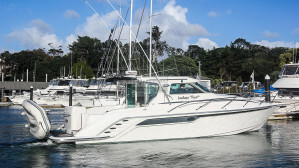 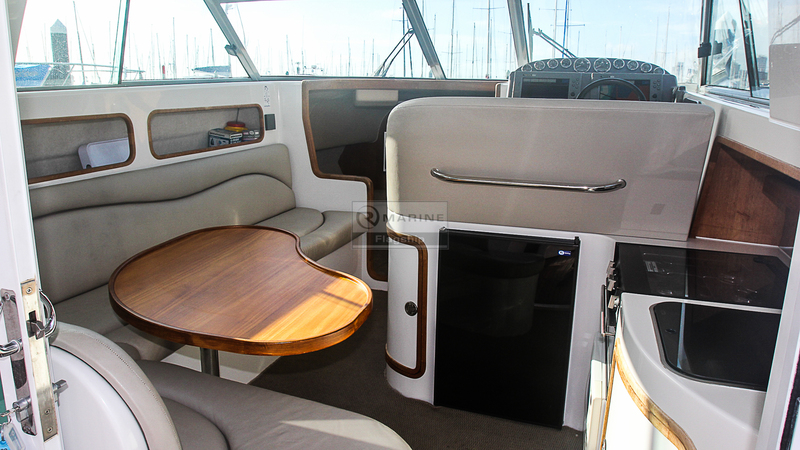 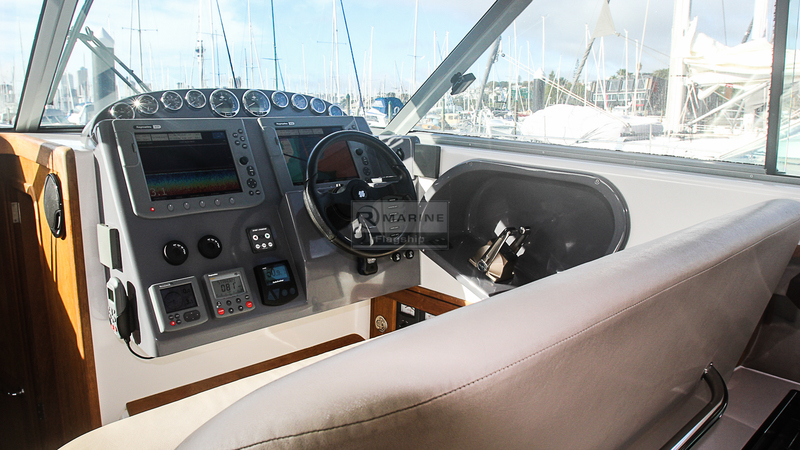 Coming through the aft lockable glass sliding doors you will find the Galley to starboard and a two seater helm station in front of this with a generous Dinette to port. 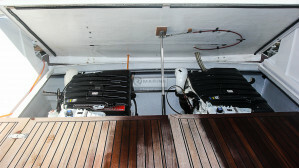 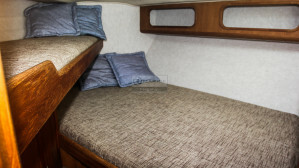 Stepping down to the forward berthage, you will find two double berths along with two singles and a shared Head. 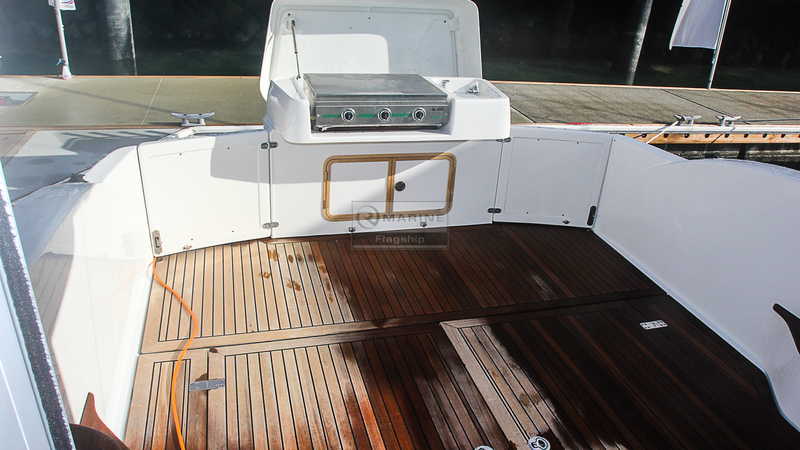 This vessel has been well cared for, with new legs fitted by Ray Bryant in late 2017 and a full cut and polish teak treatment prior to being listed. 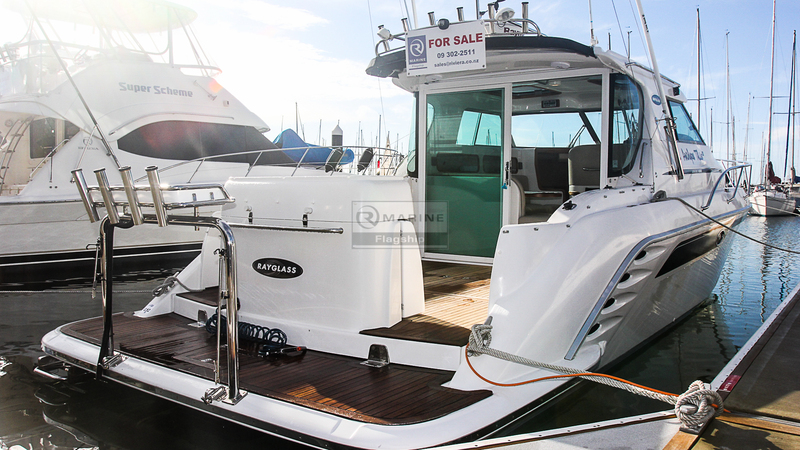 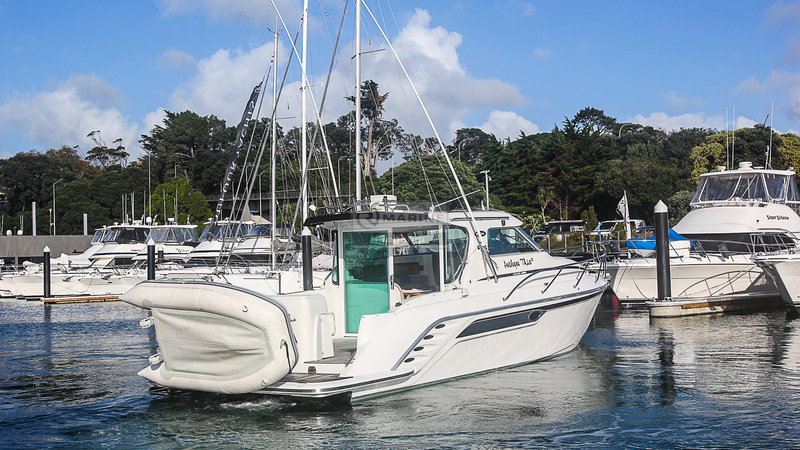 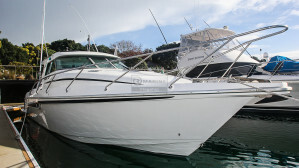 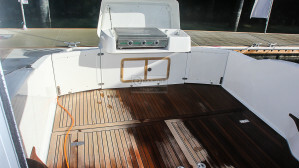 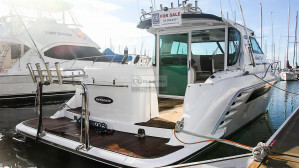 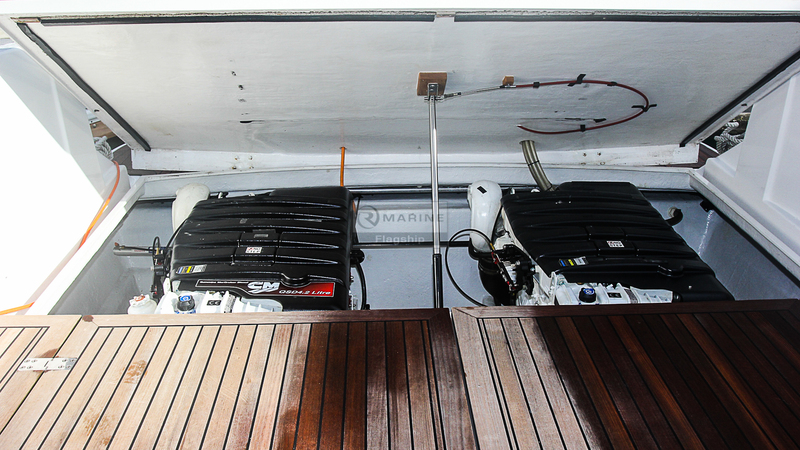 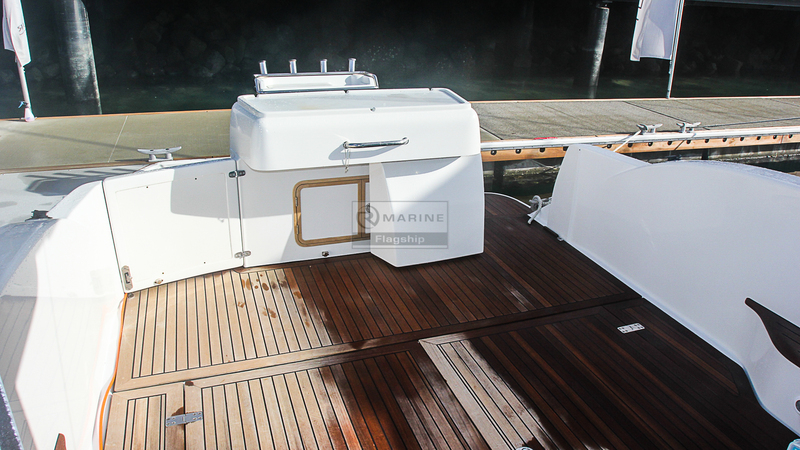 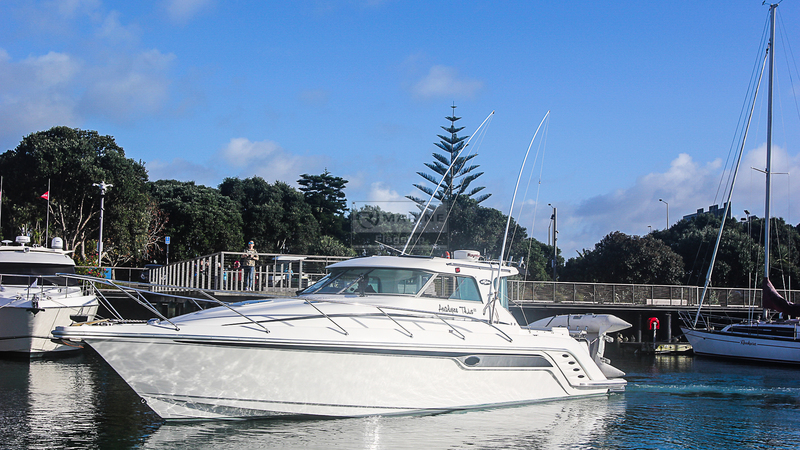 The Side Power Bow Thruster makes for easy docking and she is well spec’d with a Raymarine electronics package. 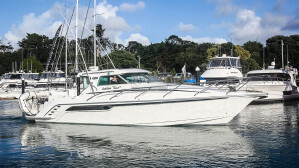 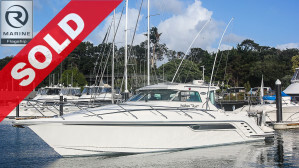 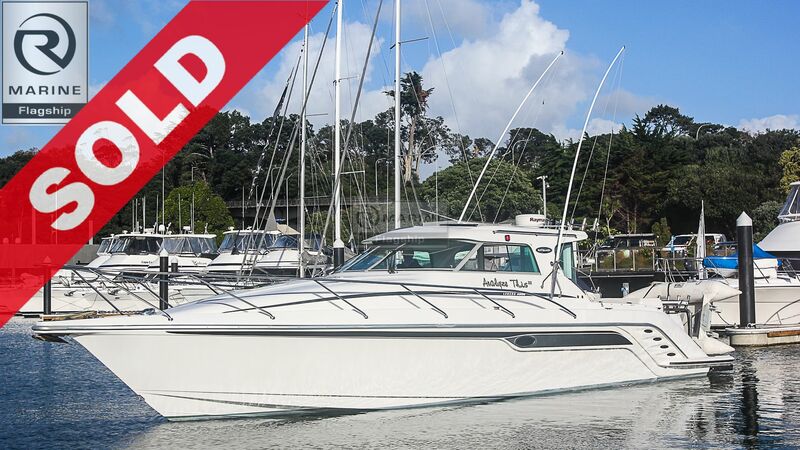 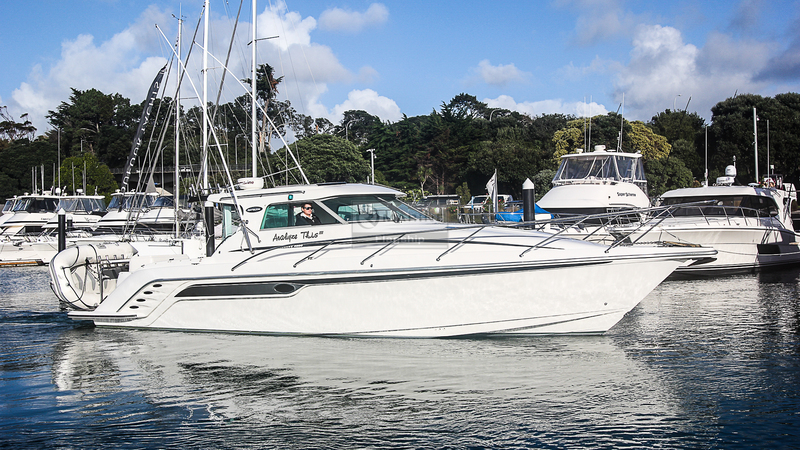 If you have been considering a large accommodation sedan-styled Hauraki Gulf Cruiser, this vessel is well worth viewing – at this price she won’t hang around for long!